First visit any image page you want to add notes to, then click the image once to zoom out. Now you can type anything you want in the text box (type a description & add #tags) and it will be saved automatically. 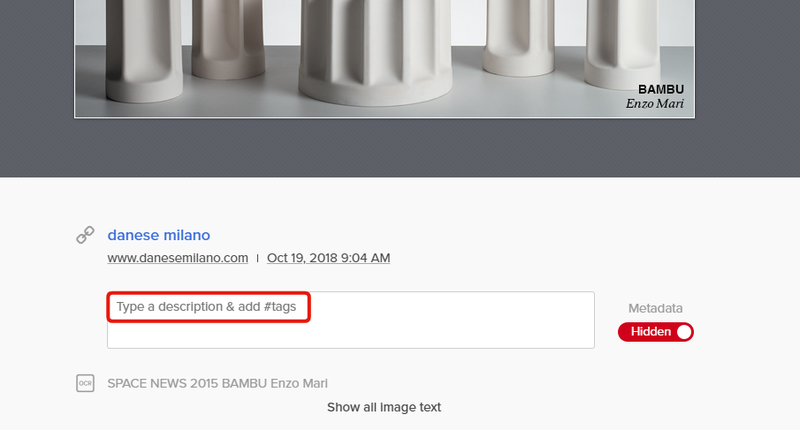 Any #tags you enter will create shortcuts at the top of your homepage to all related images. Any typed description will be used to search this image from the search box in your captures page. Keywords separated by commas can also be searched to show related images.